Thank you for the great job you are doing. Please i want to find out if grasscutters drink water and when they should be served the water as other sources are against giving them water and they are dying by the day. Grasscutters drink but it has to be controlled, if you serve them fresh grass always they will need less water. Visit: grasscutterfarming.tripod.com for detail secret on grasscutter farming in Nigeria. I am Engr. Terna Nomhwange from ZAKIBIAM. Can i give my grasscutters lemom drink prepared with water and sugar? If yes, how often? Or when is it good to serve? Also since i got home and seperated the male from the female as u instructed, the male is not active and seems not to be happy. What do i do? Please, refer to the training manual. HOW DO I CONSTRUCT A GRASS CUTTER HOUSE AND THE DIMENSIONS CAUSE I AM VERY INTERESTED IN STARTING SUCH A PROJECT. 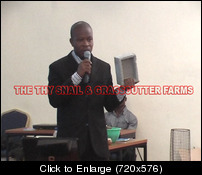 Pls,refer to the Beauty of Grasscutter Farming Manual and Video. 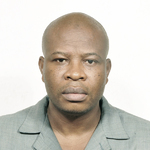 Pls, We are a group of grass cuter and Cassava farmer in Ghana, and we are doing very well in the production. But, we are going through a lot of Marketing and training challenges hence, we need your URGENT assistance in other to mitigate some of this challenges. Therefore we will be glad to know from you how best you can help us to achive our main pourpose in life in our Farming. Does grass cutter live on ground or it must be a customized house? i am a grasscutter farmer in odi bayelsa state, off recent am experiencing high mortality in my farm. please how do i tackle this situation. Thank you. HOW DO I GO ABOUT BREEDING GRASSCUTTER AND I WILL LIKE TO KNOW THE TECHNIQUES INVOLVED AND THE TYPE OF CAGE REQUIRED FOR SUCH PROJECT.